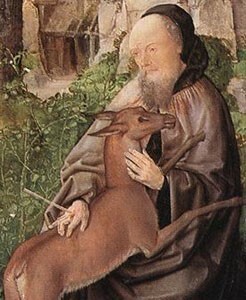 Giles was a hermit who died in about the year 710. He founded a monastery at the place now called Saint-Gilles in Provence which became an important place on the pilgrimage routes both to Compostela and to the Holy Land. 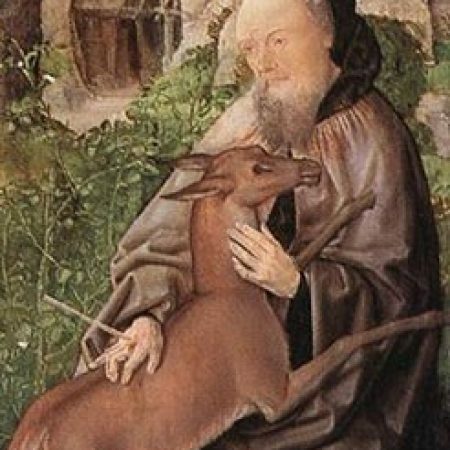 His care for the wounded and those crippled by disease resulted in his becoming the patron saint of such people, particularly of those with leprosy. Leprosy sufferers were not permitted to enter towns and cities and therefore often congregated on the outskirts, where churches built to meet their needs were regularly dedicated to Giles.